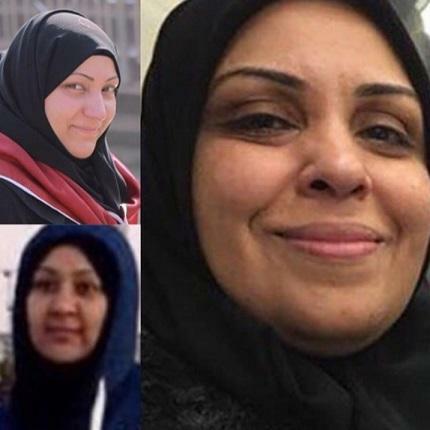 Human rights sources have reported that the health condition of the 3 prisoners of opinion "Hajir Mansour, Madina Ali and Najah al-Sheikh " had worsened due to the hunger strike they begun on Sunday, October, 14 2018. The sources said that the women prison administration of "Essa Town" had deliberately detained them at the prison's clinic and isolated them from other prisoners .It added that the prisoners are in danger, specially that they have spent 4 days of strike without prayer or bath and contacting their families so that they will not bring phone numbers among their own things . Everything is recorded via surveillance cams around the clock which makes them fear of being abused . The sources explained that the prisoners' health is so bad, as they have a low rate of diabetes. The doctors have warned "Mansour and Ali" from having spasm at any time and al-Sheikh had already suffered a drought in her body. Despite this, they are insisting on not taking any medication until fulfilling their demands to open the doors of the cells which are closed for 23 hours. They also asking for allowing them to be exposed for the sun at a time that doesn't contradict with the prayer time and respecting their right of contact and privac.